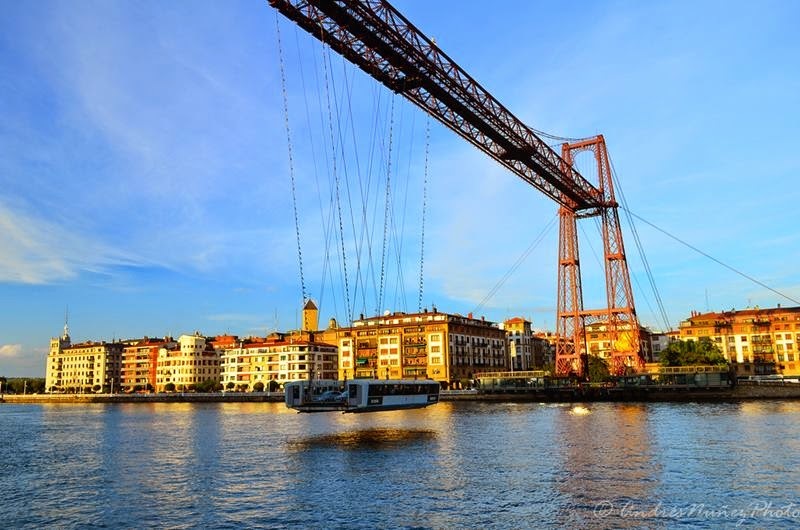 The Vizcaya Bridge, also called Vizcaya Bridge, Suspension Bridge or Bridge Palace (Bizkaiko Zubia, in Basque) is a transporter bridge conceived, designed and built by private initiative between 1887 and 1893, linking the two banks of the Nervion River in Vizcaya and was inaugurated in 1893, the first of its type in the world. The bridge receives several names. 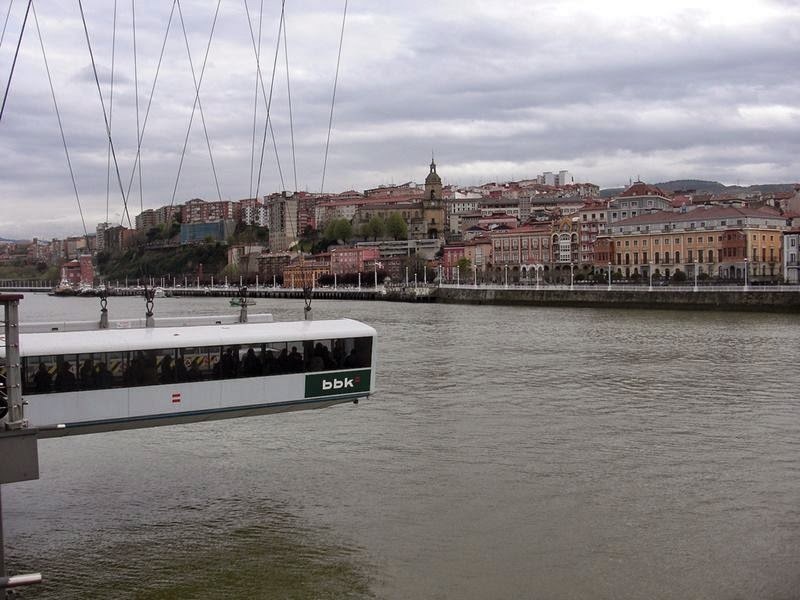 Its official name is "Puente de Vizcaya", although its most popular and widespread name is that of "Hanging Bridge" that sometimes tend to add the extensions "of Portugalete", "Getxo" or even "Bilbao". 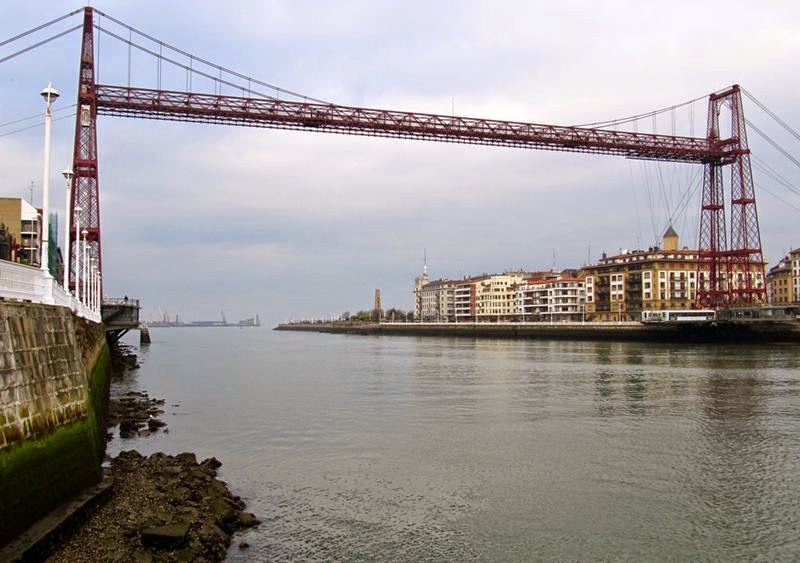 Also usually given the names of "Bridge Portugalete", as this is one of the locations that unites, and "Palace Bridge" in honor of its architect Alberto Palacio. 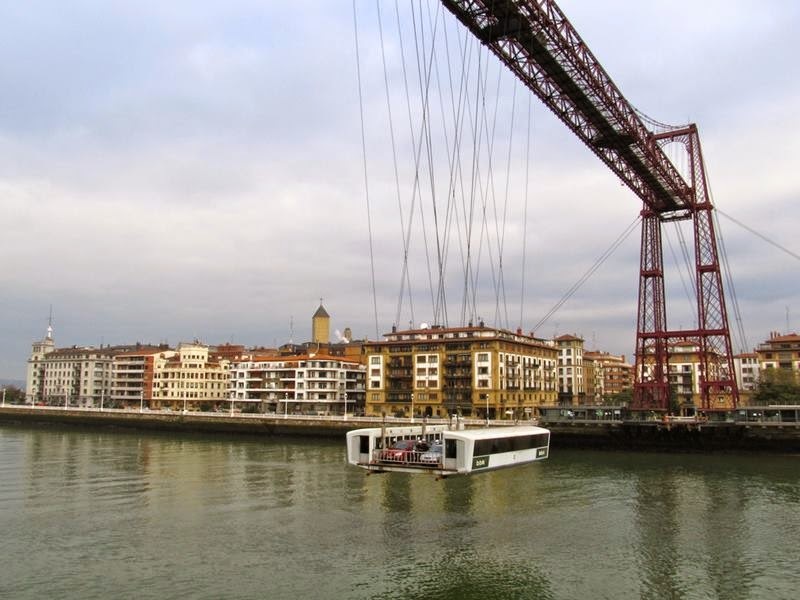 The bridge links the town of Portugalete with neighborhood of Las Arenas, which belongs to the municipality of Getxo and both banks of the estuary of Bilbao. Its construction was due to the need to link existing resorts on both sides of the river, for the industrial bourgeoisie and tourists in the late nineteenth century. The design was the work of Don Alberto Palacio Elissague, also known by its participation in the construction of the Crystal Palace Retiro Park in Madrid. 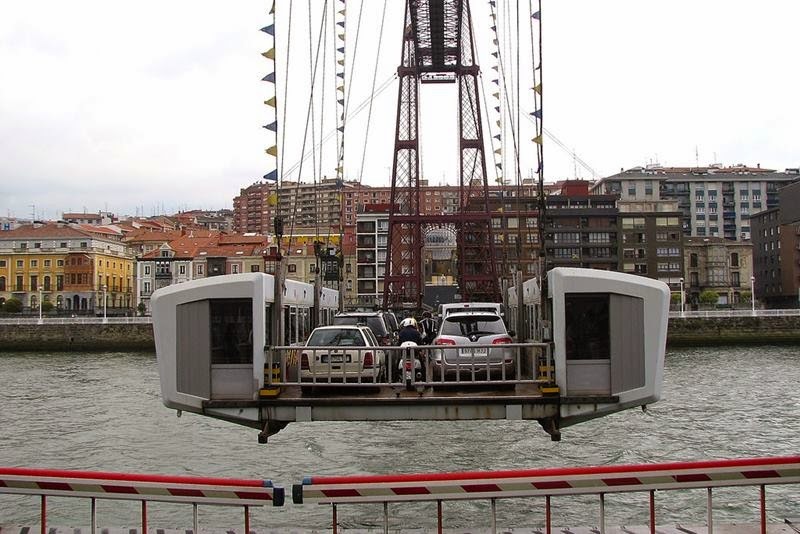 The French engineer Don Ferdinand Joseph Arnodin took over the construction of the work, and the Bilbao textile businessman Don Santos López de Letona was the main supporter and financier of the project. 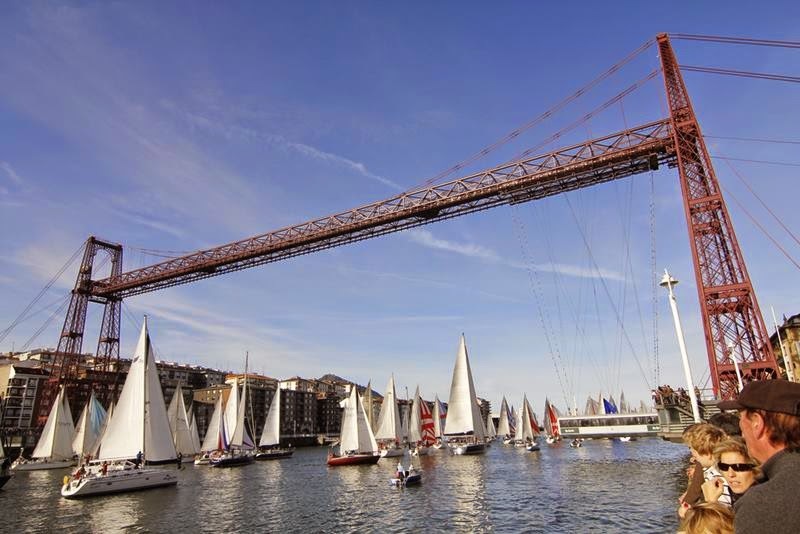 It was inaugurated on July 28, 1893 and was designed to bind to his great iron body locations Portugalete and Getxo, a rocky and steep bank and other low and sandy. . When built got facilitate communications between these two small seaside summer populations without interrupting navigation one of the busiest inland port with ship traffic in Europe Vizcaya Bridge was the great result of the merger of two different technological innovations: modern engineering hanging bridges cables, developed in the mid-nineteenth century, and the technique of large mechanical vehicles powered by steam engines. However, when the Vizcaya architect Don Alberto Palacio and Elissague started the project for the construction of a system that united the banks of the mouth of the Nervion did a thorough job, analyzing virtually all of the options available at the time: shuttle rail, barge and floating barges and all types of bridges: swivel, drawbridges, tilting, submarines, high , etc. All of them were discarded after technical analysis, until the invention of which he named Ferry Bridge Palace. 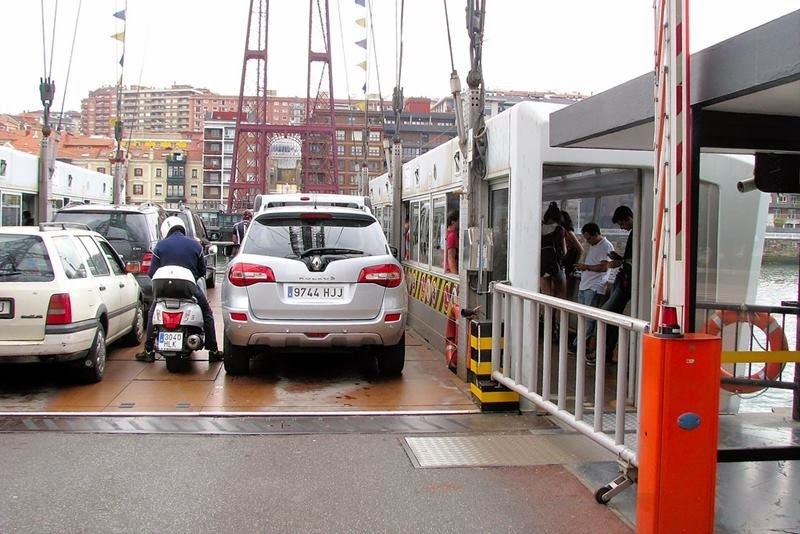 Its design meets all the necessary requirements, ie the possibility of moving passengers and cargo, which did not lead to navigation, which had a reasonable construction costs and to ensure a regular service. It began as the story of a symbol. An engineering marvel of its time, a dream of rolled iron, beating his own life and worldly pragmatism disputes, became the symbol of an entire region, of an entire people. Three different projects see the light before the final . The final draft rule out the use of wires and rails (gondola style) and opts for a structure based on two horizontal beams that would support rails, resting on four pillars or towers settled on the docks of both sides. The Vizcaya Bridge is one of the great monuments of the Industrial Revolution and one of the few surviving representative of that era. During the second half of the nineteenth century iron was considered the most powerful symbol of the progress of history, was the material with which the machines were built, ships, railways, large decks and towers like Eiffel, the World Fairs huge rooms and, above all, new bridges in Europe and increasingly slender and audacious America. 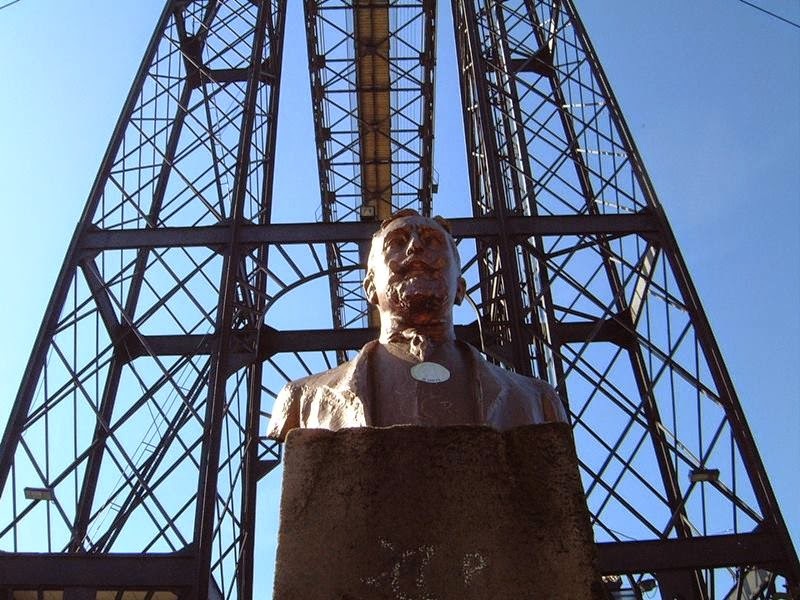 In the late nineteenth century, the Ria de Bilbao lived the Industrial Revolution as a period of extraordinary economic activity linked to exploitation mass of a rich vein of iron over 25 kilometers long in the mines of Vizcaya. It was the same mineral with which Spain had transformed peoples of their colonial empire in the past, but now subject to export and industrial processing, and led to an amazing flowering of mining companies, shipping companies, steel companies, banks, etc. . The Vizcaya Bridge was considered from the outset as the triumphal arch of this nascent industrial civilization. 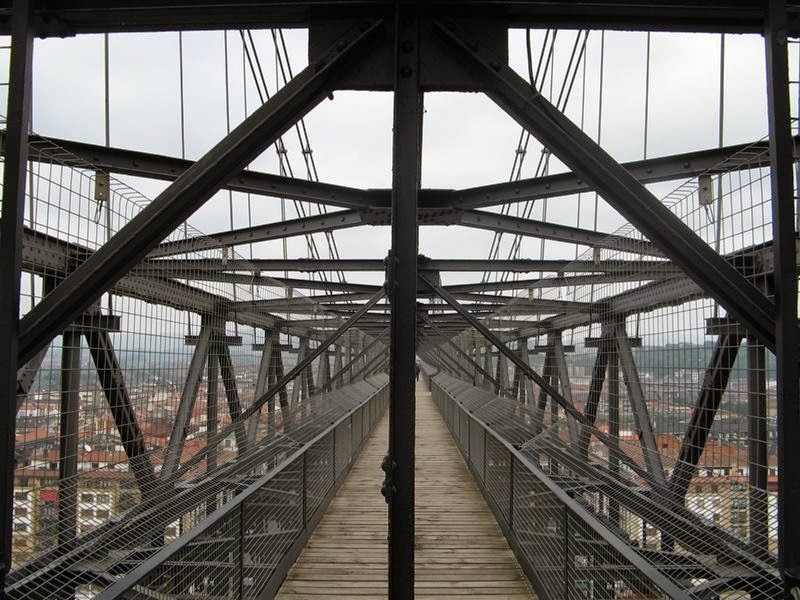 The bridge is 61 meters high and 160 meters long. 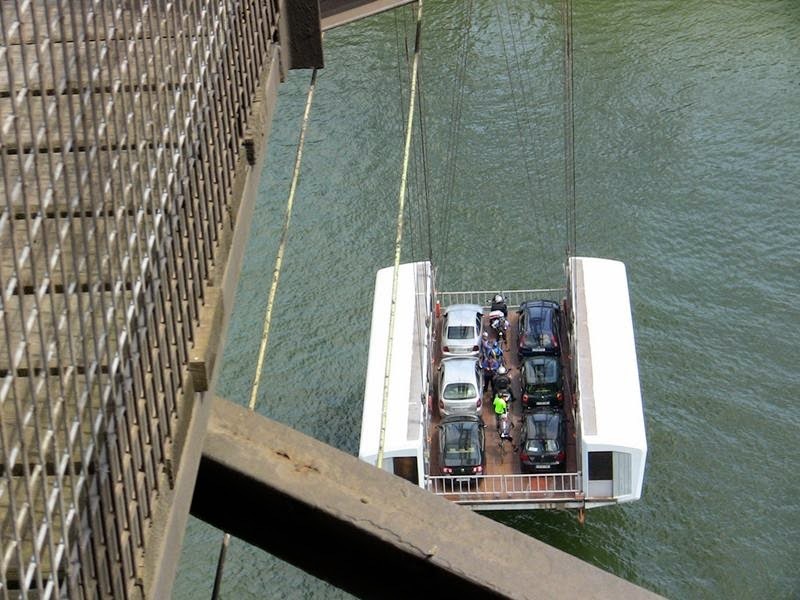 It is a suspension bridge with a gondola s shuttle to transport vehicles and passengers. It was the first bridge of its kind built in the world and thus became the model for many bridges built in Europe, Africa and America. 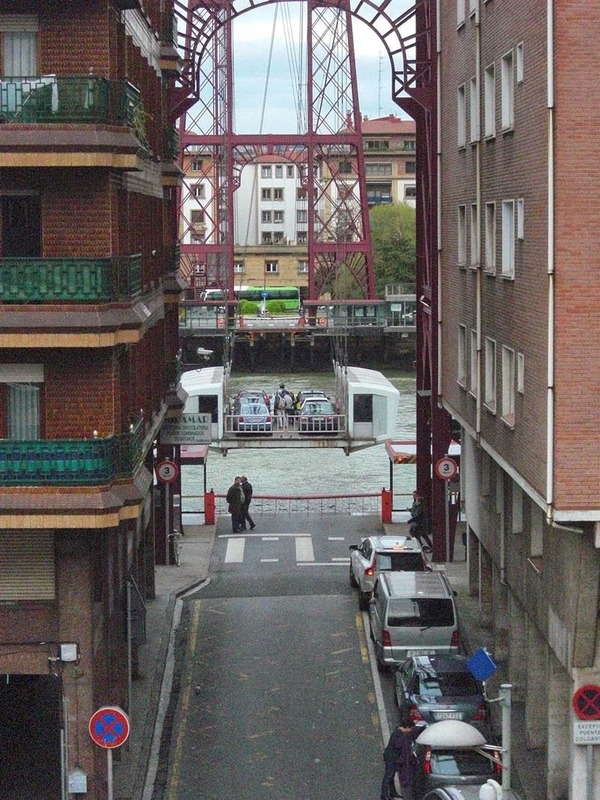 The Vizcaya Bridge is currently considered the transporter bridge in the world's oldest service. In mid-1937, during the Spanish Civil War, the engineers of the Republican Army of the North were ordered to destroy all the steps over the estuary of Bilbao, with In order to stop the advance of Franco's troops. Thus, the cross that crashed on the water was demolished on June 17 of that year. The bridge was rebuilt and finally put back into service on 19 June 1941.